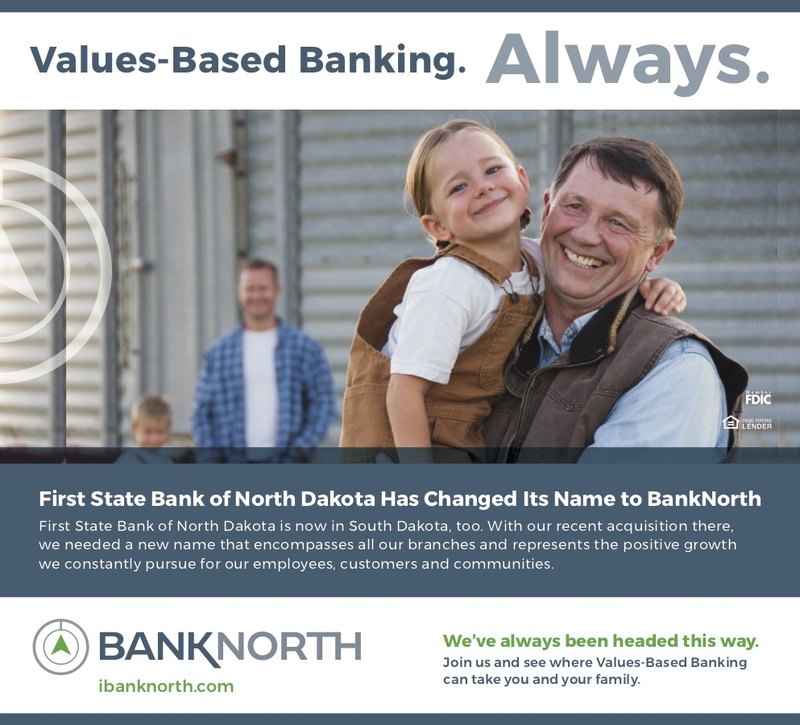 When FSBND announced the acquisition of a First State Bank of Warner in March 2017, the name “First State Bank of North Dakota” just wouldn’t do anymore. In October 2017, FredComm began developing a new name and brand with the bank’s senior managers and board of directors. The process also included feedback sessions on name options with two groups of FSBND employees. “BankNorth” rose to the top from six options. It’s a strong, sturdy, easy-to-pronounce, geographically based name that comes with multiple positive associations, not the least of which are the ideas of hearty Upper-Midwestern folk who are always true to their word and the always reliable “true north.” These associations are in strong alignment with the bank’s brand identity, expressed in its positioning line – Values-Based Banking. 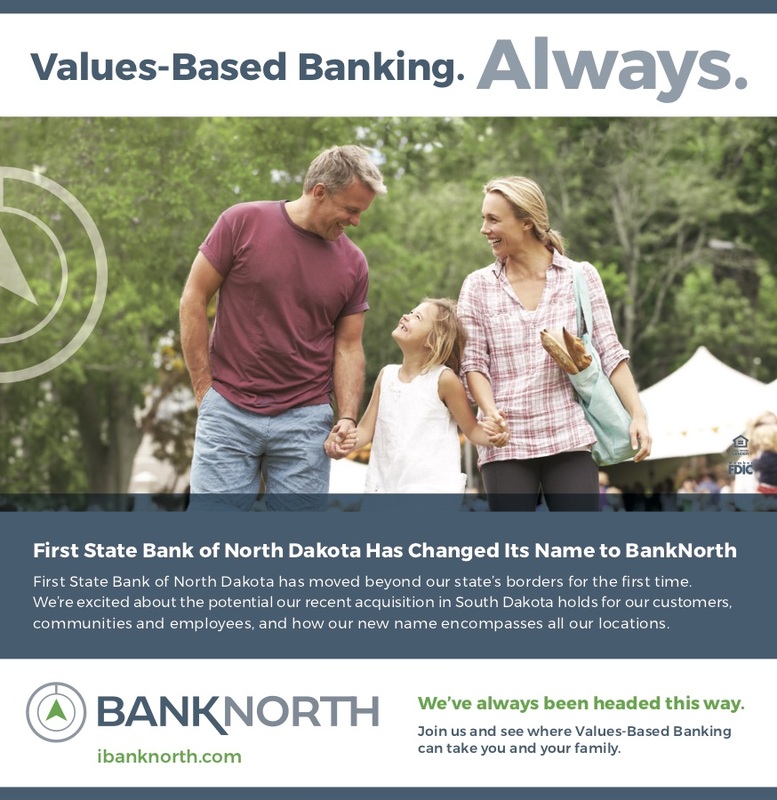 The positioning line, developed by Fredricks Communications in 2007, captures the neighbor-helping-neighbor, reliable, trustworthy and friendly core of the bank’s identity. Next up was a new logo and messaging for the brand reintroduction. 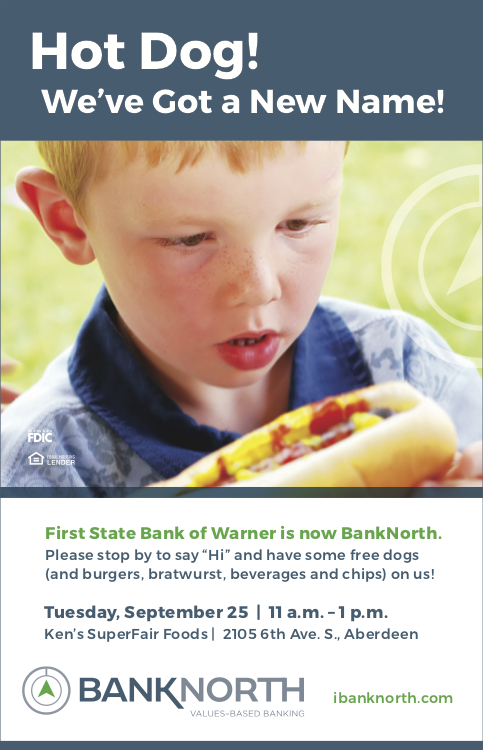 FSBND has a new name, BankNorth. 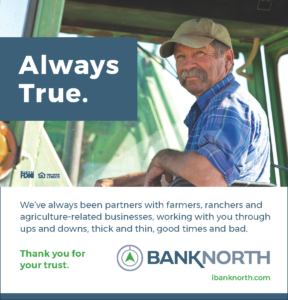 Consistency/Stability – Besides the name, nothing else about BankNorth has changed – its ownership group is the same, same great people provide the same great service, and the core values of honesty, loyalty and integrity continue to guide how the bank works with customers and communities. FredComm developed a brand messaging strategy that highlights those messages while incorporating the positive associations of “true north” and how the North Star can always be counted on to guide a traveler. Truth and consistency/reliability are the key ideas, and they provide an ideal foundation for expounding on Values-Based Banking. The rebranding campaign comprises a new brand name and logo; a new website; TV, radio and print advertising; live radio lead-ins; letters to current customers; direct mail to every household in each of the bank’s communities; lobby signage; media relations. We also created new stationary, business cards and other materials for day-to-day operations. * The messaging for this campaign continues to evolve; work samples in addition to those you see here will be added as soon as they are made public.